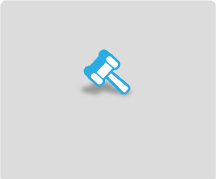 I would like to receive occasional information and updates from Prostate Cancer Charity Summer Auction and jumblebee. Raising money for ucare-cancer in support of the Robotic Surgery Simulator project at Oxford's Churchill Cancer Centre. 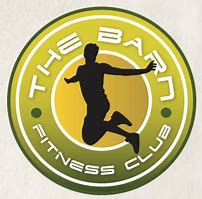 A one hour pilates session in your own home, either individually or shared with some friends. Suitable for any age. Sessions to be booked from 3/9/18 until 30/6/19 and must be within 10 miles of Henley. Half Hour Flight for 3 people in Private Aircraft, piloted by twice-round-the-world, solo pilot, Polly Vacher. Flying from a private airfield in North Moreton, OX11 9BA - your personal pilot will be Polly Vacher, who's 2nd flight around the world set the record for being the only woman to have flown a single-engine aircraft, solo over the North Pole and through Antarctica as well as landing on all 7 continents. Depending upon location it may be possible to fly over a place or landmark of your own choosing. To be taken by end of 2019, otherwise no date restrictions, but dependant on weather and availability of pilot. 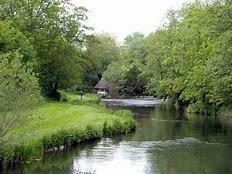 A day's fishing for 2 rods on the River Test at Bossington - restricted dates, see below. The home beat at Bossington between Stockbridge and Mottisfont is one of the best beats on the Middle Test. Well keepered and stocked with good sized Trout, it is a beautiful beat with a famous thatched Victorian fishing hut where you can picnic with family and friends. The two rods can fish through to late evening. There will be limits on the number of fish that can be kept. No dogs allowed. To be taken on Monday 13 August 2018 or the winner can take the Old Stews beat which is an attractive and most productive beat on Monday 6th August or Monday 3rd September 2018. Accomodation, Breakfast and Dinner will be available at £68 per person per night at the 4* Hotel Antiquera Golf in the nearby city of Antiquera which is 47km inland from Malaga. To be taken between 1st November 2018 and 1st July 2019. Flights and hotel transfer not included. 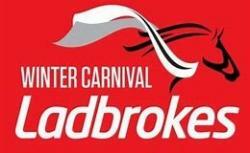 Ladbrooke Trophy Day - Newbury Race Course. Saturday 1st December 2018 - 4 Premier Enclosure Tickets. 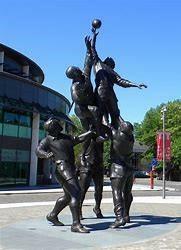 Family Pass (2adults and 2 children) for a tour of Twickenham Stadium + a self-guided trip to the World Rugby Museum at Twickenham. Tickets for 2 people to watch the Dress Rehearsal at Longborough Festival Opera for Don Giovani on date to be confirmed, June-July, 2pm, midweek 2019. Non-transferable, subject to availability, date and time to be confirmed. Private Taxi to Heathrow - one way! Winner of the 2015 International Chopin Competition Seong-Jin Cho plays Chopin's Second Piano Concerto. Programme also includes Tchaikovsky;s Fifth. Guided Walk for 20 people at The Earth Trust. Guided walk, for up to 20 people at The Earth Trust, Little Wittenham, nr Abingdon Oxon. 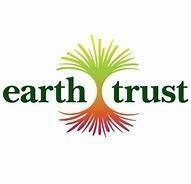 The Earth Trust is an environmental learning charity which provides access and opportunities for people to discover, appreciate and respect the natural world. It is the proud guardian of a very special landscape centred around the iconic Wittenham Clumps and now has 1,200 acres of farmland, woodland and wetland on the bank of the Thames. Date to be arrange by mutual convenience and will be dependant on weather conditions, time of year and availability of Head of Land Management. 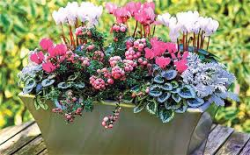 Expert winter planting of two garden pots with winter bulbs, bedding plants or shrubs which will be provided free of charge, after consultation with the winner. Winner to provide 2 pots upto 18" diameter. Location within 15 miles of Henley, to be taken in Sept/Oct 2018. A very rare technical specification Drawing of the 2017 Mercedes F1 W08 EQ Power+ Car. Unframed. 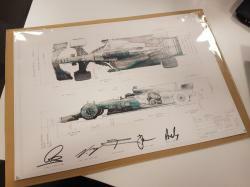 Signed by Lewis Hamilton & Valtteri Bottas as well as technical chefs Toto Wolff, James Allison and Andy Cowell. The F1 W08 EQ Power+ took 12 wins (9 for Hamilton and 3 Bottas), 15 pole positions (11 Hamilton, 4 Bottas), 9 fastest laps (7 Hamilton, 2 Bottas) and 4 1-2 finishes. The team clinched their 4th consecutive Constructors' Championship at USA Grand Prix, the 17th race of the season, with 3 races to spare. Hamilton secured his 4th World Drivers' Championship at the season's next round, the Mexican Grand Prix. This signed print is highly collectable and looks even better once mounted and framed. Dimensions: 29.7x42cm (A3 size). Certificate of authenticity included. 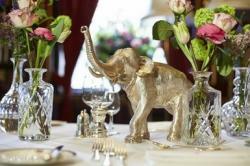 The Oriental Club is a Private Members Club whose home, the impressive Stratford House is situated in a quiet cul de sac close to Bond Street. 1 week's stay for up to 11 + 3 people at holiday house in Scottish Highlands. Clashindeugle Farm House, near Grantown on Spey, Morayshire. Located at 1,400 feet above sea level with magnificent panoramic views of the Cairngorm Mountains. Ideal for golf, fishing, hill walking, mountain biking, visiting castles and whisky distillers. Warmed by under floor heating and cosy in all weather. Linen and Towels included. 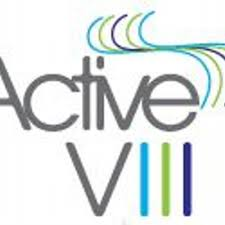 1 hour from Inverness Airport, 40mins from Aviemore Station. To be taken during 2019, subject to availability and not during July/August/Christmas/New Year/Half Terms. 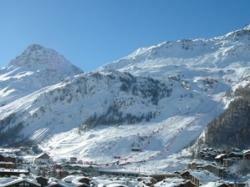 Second floor apartment in Haut de Val above centre of town with views south to Solaise and Le Face slopes. Sleeps 4 comfortably, 1 bathroom with 2 basins but bunk beds in corridor are available for younger members of your party. Underground car parking, sheets and towels and cleaning included. 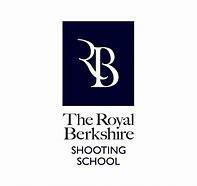 Includes 100 clays and 100 cartridges and gun hire, if required. Golf holiday Andalucia, Spain - 3 nights b&b with 2 days golf, for 2 people. At Hotel Convento la Magdalena, Antequera, Spain. You will be staying in the old San Pedro de Alcantara Convent. The hotel is unique in that it combines the elegance and majesty of a historical building from 16th century with new cutting-edge technology designed exclusively for your comfort. Your 2 days of golf would be on Antequera Golf Course and includes a buggy. Near to the El Torcal Natural Park in the symbolic La Magdalena Finca Estate. 2 Stalls tickets for BBC Proms in the Albert Hall, London on Monday 23rd July 2018 at 7pm. Programme includes pieces by Beethoven, Shostakovich, and Rachmaninov. 1 weeks stay for up to 8 people at a town house on Coast del Lutz, Spain. Zahara de Los Atunes is a picturesque village near Cape Trafalgar on the Atlantic coast of SW Spain. 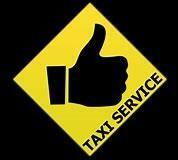 It is an hours drive from Gibraltar Airport in the south or Jerez Airport in the north. Swimming Pool and Garden shared with 11 other houses. 5mins walk to sandy beach, fresh fish market and restaurants and lively evening atmosphere in the village. Extra baby and child cots/mattresses available. Double room with ensuite bathroom, 2 twin bedrooms with family bathroom, basement which can be used as extra living space or large bedroom with comfortable double sofa bed, and bathroom. 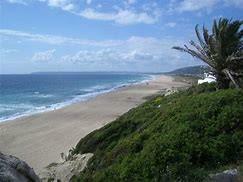 Ideal for wind and kite surfing, safe swimming, whale watching in Straights of Gibraltar, medieval hill top villages. Day excursions to Cadiz, Seville, Ronda. Two good golf courses within 20/40 mins drive. To be taken in 2019, subject to availability, not UK State School Summer Holidays/Half Terms. 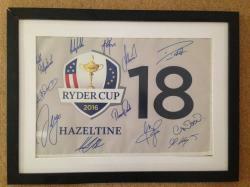 Framed Ryder Cup Flag - signed by 12 players of 2016 EuropeanTeam, from the 18th Hole of Hazeltime Golf Club. The flag comes with a certificate of authenticity signed by team doctor. 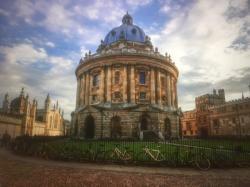 A walking tour of Oxford with tea for 4 people with Debbie Dance, Director of Oxford Preservation Trust. Debbie knows the city in a very special way and will give you her personal tour, doing her best to include places you ask to see, and including town and gown and a visit to the Painted Rooms in the remains of the Crown Tavern where you can see medieval wall paintings and learn of the links to Sir John Betjeman and Shakespeare. A cut, colour & finish for 1 person at Indigo Rye Hair, Wallingford. Colour is with Technician, Eddie and the cut is with any stylist. Valid for 3 months from receipt of voucher. 6 Bottles of Cote du Rhone 2016, Domaine Lafond. 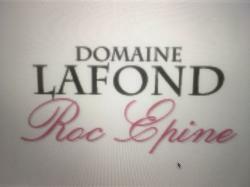 Domaine Lafond is a family vineyard, passed down from father to son. Deep red fruits and dark berry flavours. Half-priced set-up fees when you let your property through In House Estate Agents. This is fully transferable to friends and family and is valid in postcode areas OX10, OX11, OX14, OX44 and OX49 (Henley, Woodcote, Goring, Nettlebed and Nuffield). 4-ball round at Grantown-on-Spey Golf Club, Morayshire. Established in 1890, Grantown-on-Spey is one of the finest 18 hole golf courses in Cairngorm National Park area. In 2017 it was ranked 13th in the North Scotland top 25 golf courses. The course was designed by Willie Park with assistance from James Braid. The course is approximately 35 miles southeast of Inverness. Grantown is the capital of Strathspey and is a small and friendly town with a grand history of tourism. Nestled in leafy parkland, looking onto the Cairngorm Mountains. There is a traditional clubhouse offering hearty meals and tipples overlooking the first tee. To be taken within 12 months of receipt of voucher. A day's shooting on a family shoot at Woodhouse Farm, Ipsden, Oxfordshire for 1 gun. 130 bird day for pheasant and partridge. Lunch included. The gun must be an experienced, safe shot with own gun, fully licenced and insured. 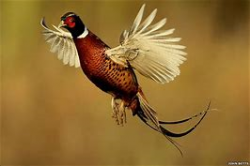 The day is offered by the landowner on the long established syndicate shoot at Woodhouse set in delightful rolling countryside on the southwest slopes of the Chilterns, with mature woodland and open arable ground. .
To be taken on a day, by arrangement, between October 2018 and January 2019 (Wed 14th November preferred). Tickets for 2 people to watch the Dress Rehearsal at Garsington Opera for the Turn of the Screw on Friday 28th June 2019. Style Consultation with Kate Evans - approximately 2 hours. Kate Evans is an Image Consultant and Life Coach. The consultation would take place at Kate Evans' studio near Cheltenham. Many woman are confused, frustrated or just overwhelmed when it comes to creating a personal look they love. Kate will help you to discover your style and reach your full potential. During your time together she will work with you to gather the specifics about your body shape, proportions and scale and give you advice you about shapes, patterns, fabrics, lengths, styles, details, cuts, lines and accessories that will flatter you. Throughout your consultation Kate will be compiling your personal Style Work book which will be a fantastic toolkit of information showing you which styles work for you, which to avoid, how to edit your wardrobe as well as the best shops for your body shape and needs. At the end of your consultation you will find it much easier and less stressful to shop for clothes that compliment you, your lifestyle and personality and ultimately save you valuable time and money! To be taken at a mutually convenient time and not during school holidays.